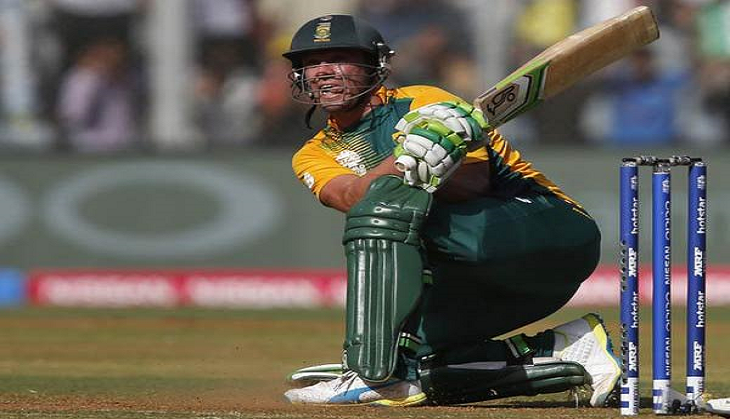 After crashing out of the Champions Trophy 2017 following an embarrassing defeat, South African captain AB De Villiers has insisted that despite the team's poor performance in the tournament, he can lead the team to a World Cup victory in 2019. "Because I'm a good captain, I can take this team forward. I can take us to win a World Cup, I believe. And I believed the same thing over here in this tournament and the last one, but that's what I believe. I love doing it," he said in the post-match press conference, reports cricket.com.au. Reflecting on the team's performance in the game against India, the Proteas skipper revealed that although there were major errors in judgments, the team was composed throughout the duration of the game. "In my mind, that (composure) wasn't the problem. It wasn't a mental thing. We just didn't play well. We were really in a good position there with the batting end early on, and through soft dismissals we lost our way and that was the part for me that hurt the most," he said. The Proteas' batting order saw a significant fall, which ultimately resulted in India comfortably clinching victory, with 72 balls to spare. Although South Africa got off to a comfortable start with a projected score of 300, the batting order collapsed with a mere 51 runs being scored with eight wickets down, which ultimately led to India being faced with a target of 191 runs. Indian team produced a brilliant all-round performance to seal a place in the last four. With the Proteas' exit from the league, India most likely will be facing Bangladesh in the semi-final. Other semi-final will be played between England and the winner of match Sri-Lanka – Pakistan match. The final will be played on 18 June.